We love football!! We love watch it, betting on it, and of course playing it!!! 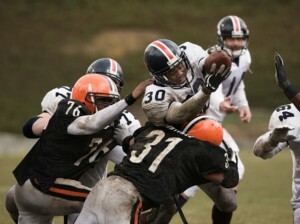 And we bet you do too, so at this article you’ll find the proper tackling techniques. Stay low. Sink the hips, eyes on belt buckle. Tackle through. Explode through the target with head up. Contact must be made with shoulder pads. Feet need to be active (chopping) andunderneath you. Shoot hands up, wrap up, and grab cloth. Coaches should always start off with non-live tackling drills. Practice tackling techniques on air, then with dummies/ tackling sled, then you do some live contact. From the first day of practice we will teach how to tackle with proper tackling technique. You can practice form tackling right off the bat in your stretching lines. Tackling with the right form and fundamentals will keep your players safe and your team ahead. You can learn to drop quickly into a basic tackling form, shooting up and into the offensive player with extreme agility, accuracy, and power. With the right fundamentals, you’ll never get juked out of your shoes, get trucked over, or execute a lazy arm tackle again. Don’t miss our special articles about Texas Hold’em and blackjack, become the best Get all the latest Betting and Sport News updates on your social media outlets. Find us on both Facebook and Google+! The San Diego Padres had been executing better with runners in scoring position in recent weeks, but timely hits have been rare in the last few days. They’re hoping for better situational hitting to end this 10-game trip on a positive note Thursday against the Milwaukee Brewers. The Padres (52-56) won eight of 10 from July 24-Monday, going 23 for 53 with runners in scoring position in the last five victories. They’ve lost three of four, however, going 4 for 27 in those situations in the losses. 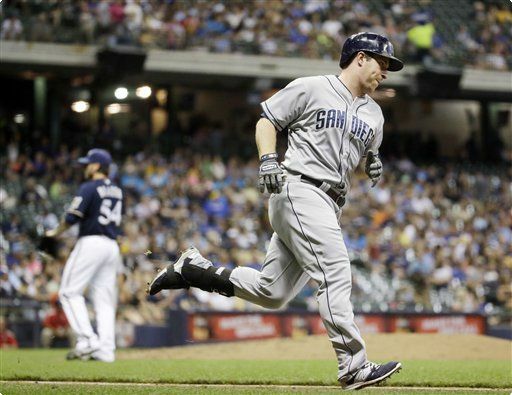 San Diego matched Milwaukee’s 11 hits Wednesday, but was 3 for 12 with runners in scoring position in an 8-5 loss to the Brewers (46-63), who were 4 for 7. Murphy did have a few reasons to be encouraged: San Diego rallied for three runs in the ninth, Justin Upton was 2 for 4 after sitting out Tuesday with a sore thumb and Yangervis Solarte extended his hitting streak to 11 games, the longest by a Padre since Will Venable’s 15-game run in August 2013. San Diego’s Odrisamer Despaigne (5-7, 4.75 ERA) is aiming to win a third straight outing after back-to-back victories over Miami. He had won only once in his previous 12 starts. Despite Murphy’s glowing assessment, those performances might have been misleading given Miami’s major league-worst 3.5 runs per game – though Milwaukee isn’t much better at 3.9 per game. Despaigne was also excellent in his only start against the Brewers, giving up one earned run while striking out nine over seven innings of a 3-2 victory for the Padres on Aug. 27, though he wasn’t credited with the win. Matt Garza (5-12, 5.17), conversely, is trying to avoid dropping a third consecutive start for the third time this year. He had three such skids in his previous nine seasons. Garza — trying to avoid joining teammate Kyle Lohse as the only 13-game losers in the majors — is 1-5 with a 5.83 ERA in his last seven outings, walking 13 in the last five. Though he issued four free passes Saturday against the Chicago Cubs, he was solid otherwise, allowing three runs – all on Anthony Rizzo’s homer – over six innings in the 4-2 loss. The Milwaukee offense was lackluster as it often has been with Garza on the mound, and he fell to 1-11 when getting two or fewer runs of support. He hasn’t faced San Diego since 2011 but has fared well in three matchups, going 2-0 with a 2.14 ERA and 22 strikeouts in 21 innings. Upton is 2 for 15 with six strikeouts versus Garza. 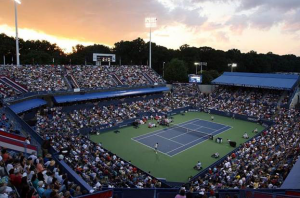 ATP masters 1000– a tournament where the winner gets a 1000 ranking points. ATP 500 & 250 tournaments provide 500 or 250 ranking points. Foot Fault– When serving, if you put your foot over the baseline or centre line whilst hitting the ball In a serve and it is counted as a fault. Game– a unit or scoring, you need six games to win a set, and four points to win a game. Golden Slam– winning all four Grand Slams and the Olympic tennis title, all in one calendar year. Grand Slam– The four most prestigious tournaments in the calendar. The Australian Open, French Open, Wimbledon and the US Open are the grand slams. Winning a Grand Slam is winning all four of these in a calendar year. 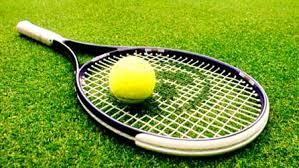 ITF– international tennis federation, the governing body of tennis. Let– when the point is re-played for any reason, or if the ball hits the net and then bounces in the service box from a serve. Point– a unit of scoring in each game, you need four points to win a game. Return Ace– A return which the server can’t hit. Tram lines– the two areas at the sides of the court, when the ball lands in them for singles it is out, for doubles it is in. Unforced error– when a player makes an error which wasn’t anything to do with the shot from the opponent. Volley– when a player hits the ball before it bounces. 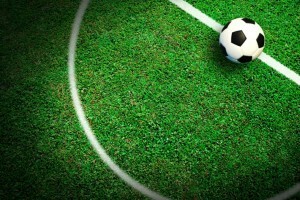 Winner– a shot which the opponent doesn’t touch. World Tour Finals– a year end tennis tournament for the top 8 players in the world. WTA– womens tennis association, the womens professional circuit. Top 10 players Kei Nishikori (No. 5) and Marin Cilic (No. 8) are the male headliners on the second day of competition, while Ekaterina Makarova was in action as the top seed on the women’s side, as is defending champion Svetlana Kuznetsova. Sam Stosur recorded her 500th career victory Tuesday, moving into the second round of the Citi Open hard-court tournament by beating Kristina Mladenovic 6-2, 6-2. Stosur is a 31-year-old Australian who won the 2011 U.S. Open. She is the seventh active woman with at least 500 match wins — across all levels, including at ITF, WTA, Grand Slam events, main draw and qualifying — and at least one Grand Slam singles title. This is without a doubt the most important aspect of betting sports and possibly the most neglected. The first key to proper money management is to be sure not to bet more than you can afford to lose. The second most important aspect of betting on sports is shopping for the best number. There will be more discrepancy in the numbers on different sports at different sports books. When you are betting your hard earned money, getting the best line is a top priority. And since the lines the bookmakers release are increasingly strong, the difference between a point or two is usually the difference between a win or a loss. When you are betting big bucks the difference in odds translate into a huge difference in your payout. All it takes is a little research of the sports books you usually bet at. Most books have their payout odds listed in way that is easy for the bettor to find them. Betting on motor races is as exciting as being behind the wheel and driving the car themselves. Online, you can find out everything you need to know about motor racing and sports betting; from understanding odds to familiarizing yourself with the drivers to betting wisely, everything is available with a click of your mouse. In order to have the best chance to beat the sports books on the motor racing lines you have to find reasons why their lines are off. You do this by compiling statistical data about the drivers, the tracks and which drivers do better on each track, the weather, the pole position, the pit crews and everything else you can find. Certain drivers do better on certain tracks while others do better in cooler weather, or a main pit crew member may be out this week. You need to track as much information as you possibly can to find an advantage. One potentially profitable strategy is to find a driver or two every week that for one reason or another are lower on the list of favorites who have a chance to win. For example, if you bet 100 on a driver that is at +2700 you only have to have him win one out of every 26 races to show a long term profit. The problem is that he is at +2700 for a reason, so you need to be realistic when following this strategy. You have to have real evidence from your tracking and statistical analysis that says he has a real chance to win. If you pick two drivers every week at +2700 each, one of them has to win at least once out of every 13 races for you to turn a profit. 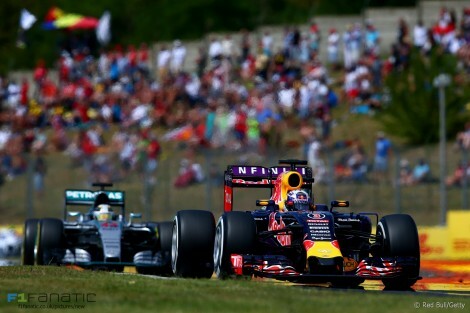 The 2015 Hungarian Grand Prix was a lights-to-flag exhibition of the best the beloved sport has to offer. (bbc.com)- Ferrari’s Sebastian Vettel took a surprise win in a chaotic, dramatic and thrilling Hungarian Grand Prix as Lewis Hamilton finished sixth. Hamilton had a mighty let-off after an error-strewn drive because title rival and Mercedes team-mate Nico Rosberg finished eighth after a late puncture. Red Bull’s Daniil Kvyat took his first career podium in second. There was a further surprise behind Vettel as Russian Kvyat took second place despite being one of several drivers to suffer penalties as a result of driving transgressions. He was handed a 10-second penalty for taking an advantage by going over track limits but held on ahead of team-mate Daniel Ricciardo. Ricciardo managed to take the final podium position. Behind him, 17-year-old Max Verstappen took the best result of his short career in fourth. Motor Racing includes F1, Rally, MotoGP and Speedway. They are all racing sports, most have leagues and championships made up of individual races. 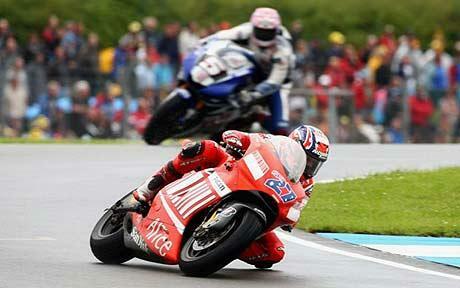 Motor racing is one of the most popular sports in the world. Whether you are a fan of Formula 1, NASCAR or one of the other popular series, you have an opportunity to place bets on your favorite drivers. 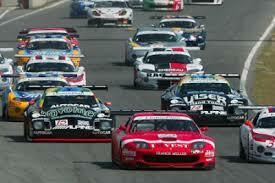 The most popular type of wager you will be able to place on motor sports events is a outright or future bet. We know how much you love to be ton Sports, especially we know how much you live to bet on MLB Baseball. We want to make this easy for you, so check out rules and start winning!!! For all side bets, a game is considered official after five innings of play (four and a half if the home team is winning). 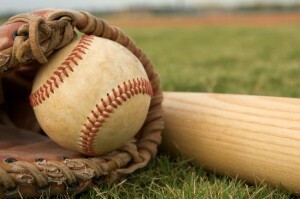 Thereafter, if a game is canceled or suspended the winner is determined by the score after the last full inning of play. If the home team scores to tie or takes the lead in the bottom half of the inning, the winner is then determined by the score at the time the game is canceled. When betting on totals and/or run-lines the game must go nine innings (eight and a half if the home team is winning). Extra innings are included in the final totals. Listed pitchers must start the game. In case of disputes the ruling made by “The Mirage” sports book in Las Vegas will apply. All postseason games (Wild Card, Divisional Series, Championship Series, World Series) are not considered official until a winner is declared. If a post season game begins and then is delayed to a later date, all wagers will have action with the final score being graded as the official result. All Non US Baseball games Top Team is home unless specified. A game does not have to go 9 complete innings, nor does a game need to be completed for the bet to be graded as the bet only covers the first five innings. Whatever occurs after five innings have been played is not relevant to the bet. If a game does not go five full innings, all first-half wagers will be canceled. If the game should be deemed officially over after only 4½ innings, all first half wagers will still be considered no action. No parlays between sides and totals in the first five innings are allowed. All first-half wagers must list both pitchers. If either listed pitcher does not start, all wagers on the first half will be canceled. For wagering purposes, second half is considered to begin at the top of the 6th inning; regardless how many extra innings are played. To be official teams must play at least four full innings, or three and a half innings if the home team is leading. No wagers are canceled for a listed pitcher change. If one of the original pitchers listed does not start the game (throw the first pitch of the game, not counting warm-ups), there will be a new line and the price on your play will be automatically adjusted. If the pitcher you specified does not start the game, you have “No Action”. Whether or not the other pitcher listed starts the game is irrelevant. Both pitchers listed need to start the game. If either or both pitchers do not start the game you have no action. Both pitchers are automatically listed (both must start for action). This is the only way you can play totals and run lines. If either or both pitchers do not start the game you have “No Action”. If two of the first three games are postponed or canceled, all wagers on that series will be graded as no action and all monies refunded. Grand Salami:The Grand Salami will be decided by the total runs scored in all games scheduled in the given league for the given day. All scheduled games must be official and complete to be considered for the Grand Salami total. If any scheduled game is canceled or stopped, all wagers on the Grand Salami will be canceled. All wagers will have action regardless of the starting pitchers. All MLB preseason games will be graded the same as regular season MLB games. For wagering purposes, the bottom team is considered the home team. Japanese Baseball: if a match is declared a draw, all bets are valid, side bets will push. In Mexican Baseball, a double header game may be scheduled for 7 innings only. For grading purposes, we will consider 7 inning games final when played as part of a double header. (foxsports.com)-Even when they’ve pitched well lately, neither Detroit’s Justin Verlander nor Tampa Bay’s Chris Archer can pick up a victory. It’s been a whole lot longer, though, since Verlander got one. Wednesday’s series finale between the Tigers and Rays at Tropicana Field may be regarding who will be Archer’s catcher. Archer (9-7, 2.67), meanwhile, is winless in a career-high five straight starts while going 0-3, equaling his worst losing streak. He couldn’t be blamed for not winning his two games since the break, getting no run support as he yielded three runs in 13 innings while striking out 15. The All-Star also threw 6 2-3 scoreless innings in a 12-inning loss at Yankee Stadium on July 3. Archer is 1-0 with a 2.84 ERA in three starts versus Detroit. 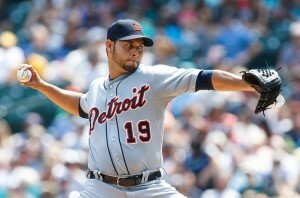 The Detroit Tigers futility claimed another victim on Tuesday as David Pricewas hit hard by his former team. The Tampa Bay Rays had not scored more than four runs since July 8 and have now done it in back-to-back games, putting up 10 runs in the 10-2 shellacking. This drops Detroit four games under .500 and will look to avoid a sweep Wednesday afternoon.